Comfortable: Safe and effective solution for securely holding the Chummie Bedwetting Alarm when your child is asleep. Fits every Chummie model – Premium, Pro and Elite. Child friendly: Comfy-Armband is small enough to fit smaller arms, yet adjustable Velcro allows up to about 8″ biceps. Fits boys and girls of all ages. 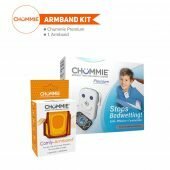 The Comfy-Armband from Chummie securely holds your Chummie Bedwetting Alarm in place at night during sleep. 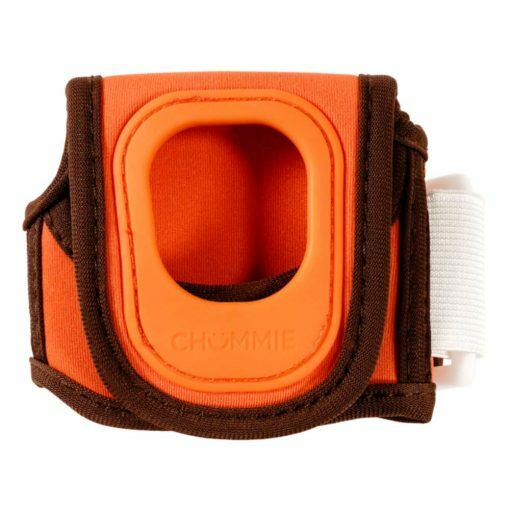 The dual functional feature armband can also be used as a storage unit for the Chummie Alarm for daytime storage. The lightweight, sweat-resistant neoprene material is flexible yet sturdy, while providing a neat look that will never interfere with your nighttime clothing. Precise cut-outs allow access access to all ports, buttons, and sensor jack. Adjustable Velcro allows up to about 8″ biceps. Machine and hand washable neoprene with adjustable Velcro armband strap and Silicone trim accents. Easily access Chummie buttons and features. 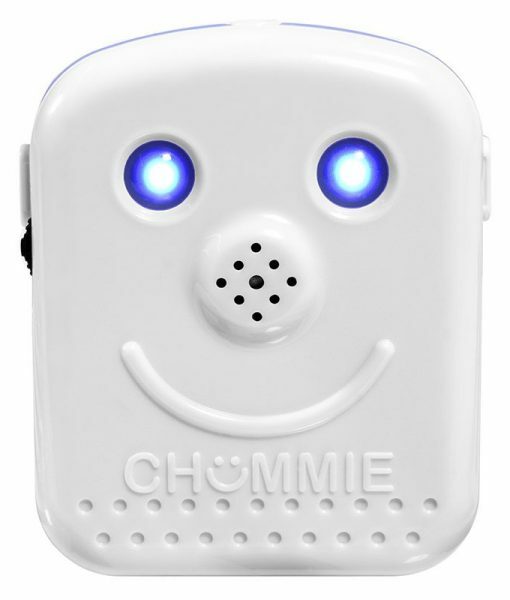 Insert/remove the Chummie Bedwetting Alarm quickly. 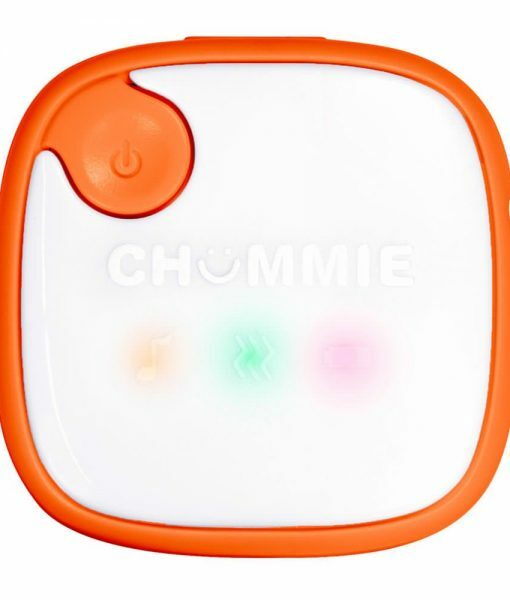 Fits Chummie Premium Bedwetting Alarm, Chummie Elite Bedwetting Alarm and Chummie Pro Bedwetting Alarm. Installation is simple. Remove the snap-on clip from your Chummie bedwetting alarm and place the alarm in the Comfy-Armband. Slide the Comfy-Armband onto your arm, adjust the strap so it fits comfortably and then secure the Velcro tab. Do not secure the tab too tightly. 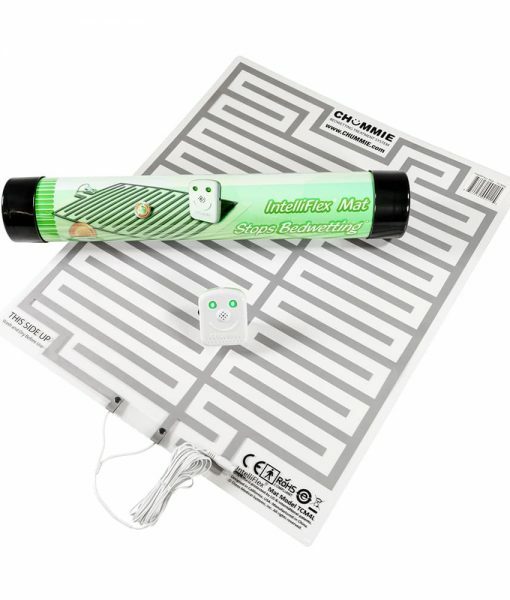 Attach the IntelliFlex sensor to your child’s undergarment (If using the IntelliFlex mat, place under bed-sheet) and insert into the Chummie Bedwetting Alarm.